This cute wine clutch is perfect for the wine diva! Includes a stainless steel corkscrew and small front pocket. This bag is insulated so it will keep any liquid or food cool for several hours. Zipper top and Lightweight also! 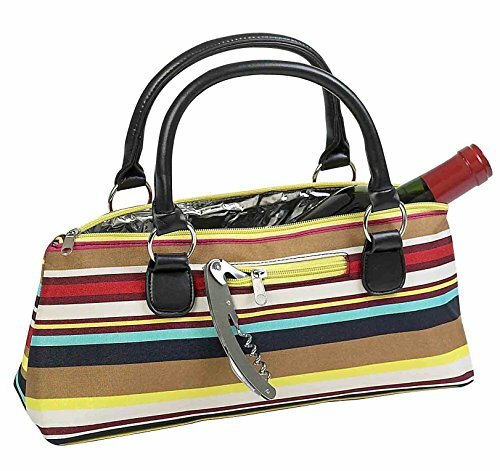 This wine purse is made with water resistant striped fabric.